Specialized in InductionFurnaces, supplying and giving maintenance to electrical equipment, control and regulation systems and electrical engineering for medium and low voltage. GECSA, company dedicated to the design, manufacture and installation of electric conductors of high intensities of copper and aluminum, also manufactures components for induction furnaces, both for manufacturers of equipment and for end users (foundries) or auxiliary companies that provide service. The specialization of GECSA in welding processes for copper, aluminum, stainless steels and their alloys using high intensity MIG and TIG procedures is noteworthy. Within the range of products supplied, the manufacture and repair of coils stands out, which is responsible for the production of the magnetic field in which the material is melted by electromagnetic effects. As automation engineering, we provide service with the main software brands of the market to any of the controllable parts of the furnace, having its own regulation of electrodes. In the area of ​​medium voltage, we are distributors of major European brands in electric elements and electrical equipment (vacuum interrupters, disconnectors) and carry out turnkey projects for the installation of transformers. Made by rope lay technical with Ø0.5mm wire. Different protection depending the necessities of the furnace. High quality for a long life. For low frequency furnaces. Manufacture and repairs. GECSA, accustomed to the problems that arise in the smelting plants, is characterized by providing a fast and efficient repair service in the plant. 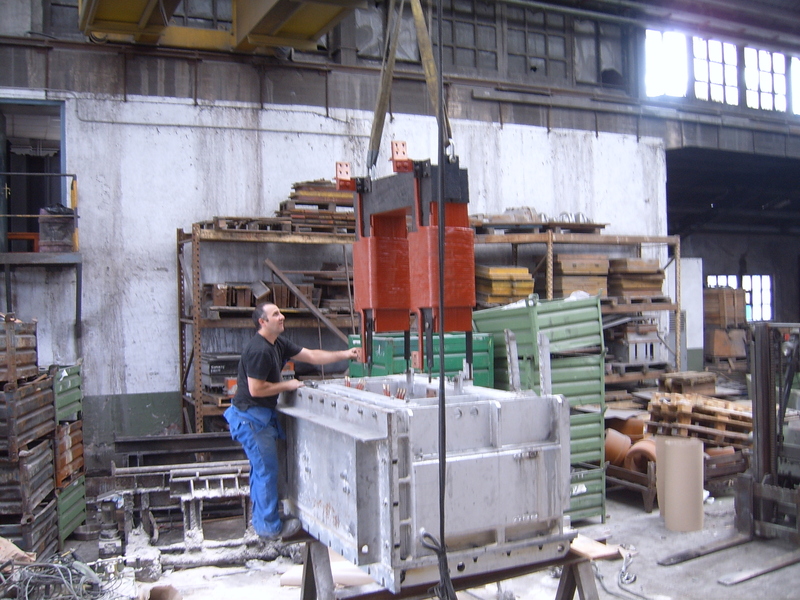 In addition, there is a team specialized in repair of coils and other components in induction furnaces. As in the case of induction coils, GECSA not only manufactures, but also repairs inductors. 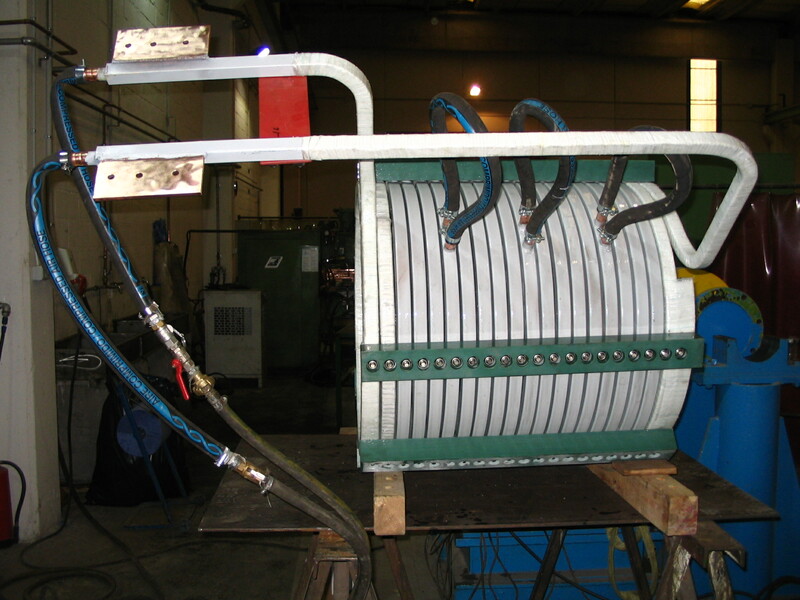 The elements of which an inductor consists and that GECSA repairs are: steel boiler, cooling cylinders, coils and magnetic core. 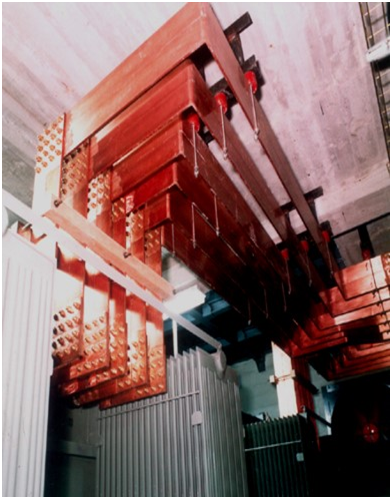 Design, manufacture and installation of plate and tube busbars for the transmission of high intensities for the feeding of induction furnaces. 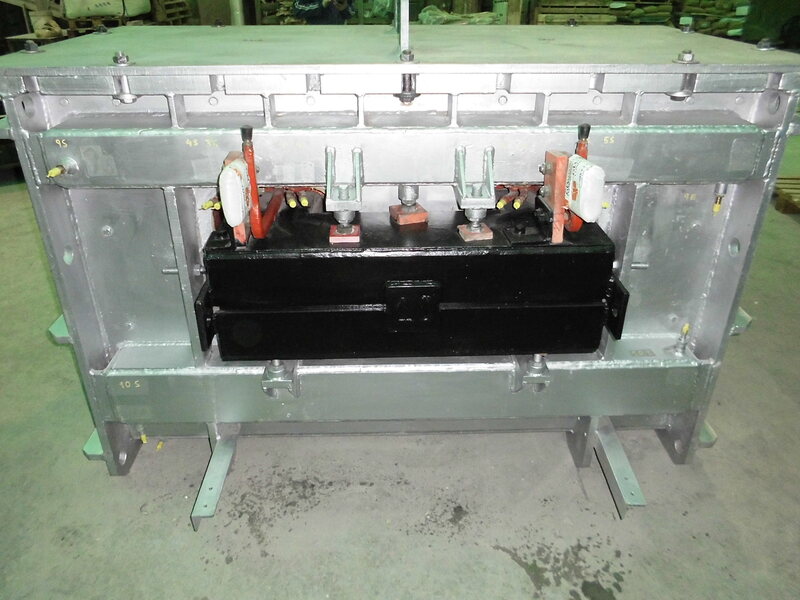 In the same way, modifications and designs are made on the busbars. Specialized works on plant. 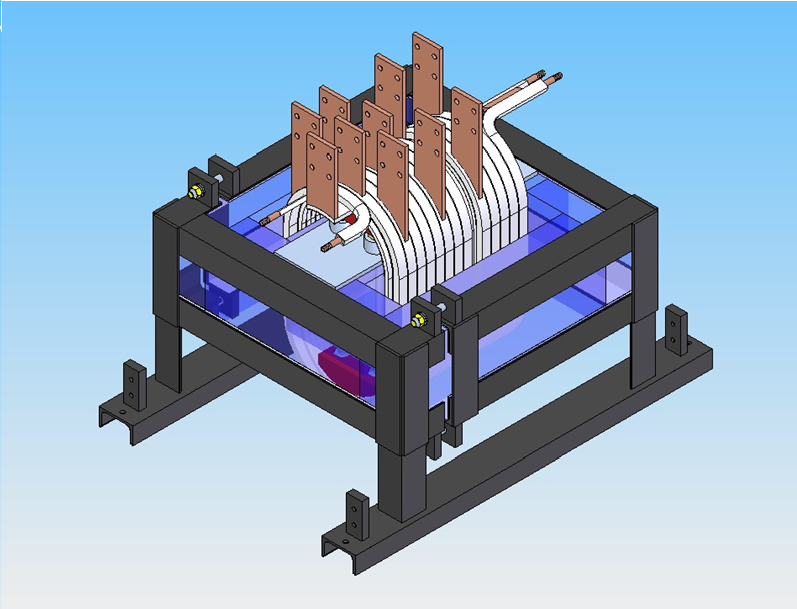 Assembly of elements manufactured by Gecsa or not.Gecsa has a team of technical specialists to quickly meet the needs of customers and collaborate with their maintenance team to minimize production stops. 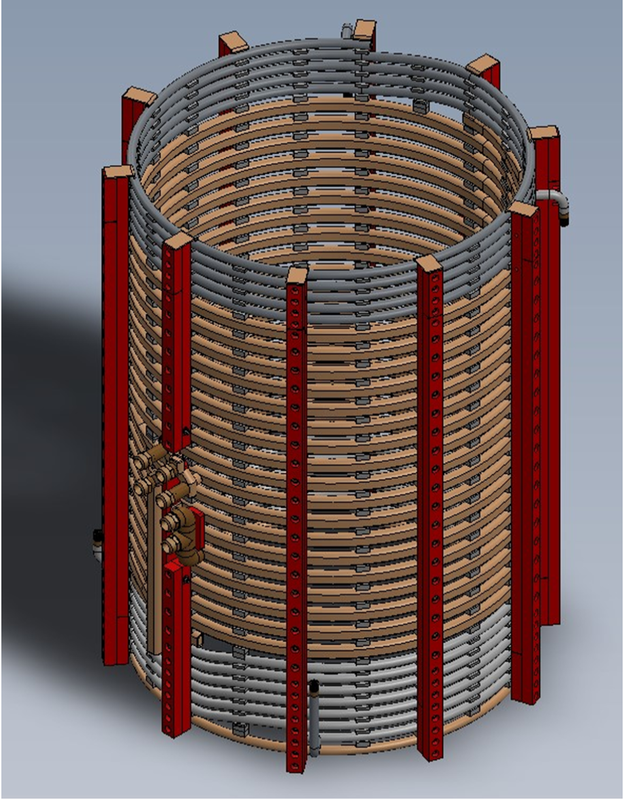 GECSA manufactures and repairs induction coils, according to drawing. The coils are formed by a copper profile of different shapes and sizes depending on the design, circulating the flow of cooling water inside. Once the profile is formed, it is isolated by means of paints, varnishes and protections of various insulating materials. 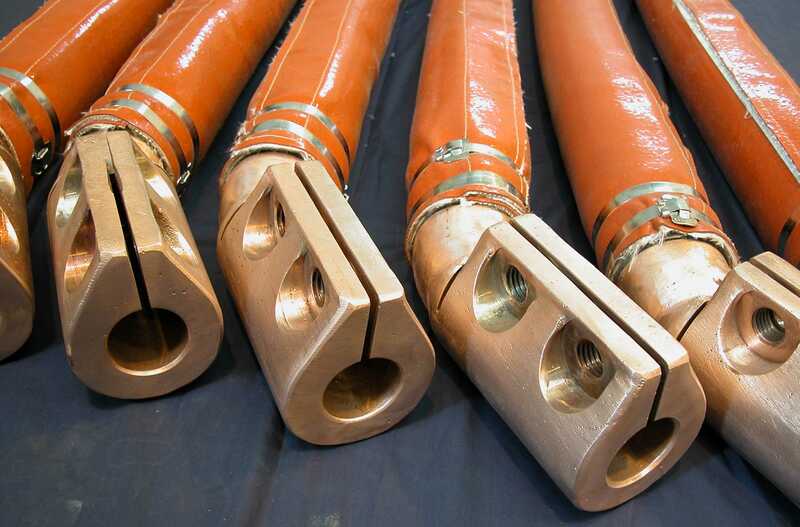 Previously, the cooling connection terminals will have been welded to the copper profile. 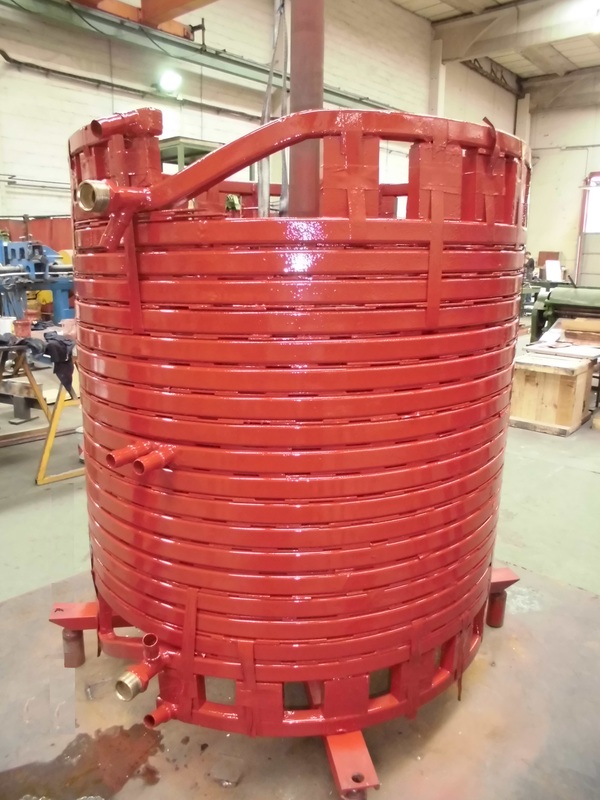 Ultimately epoxy type materials are placed to insulate the coil from the boiler. Engineering and design with the latest 3D tools, which allows Gecsa a better precision and collaboration with the client in all its projects.Reverse engineering is done to obtain plans.